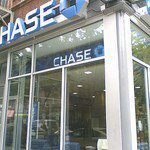 Chase Ultimate Rewards points are a flexible, transferable points currency earned by using Chase Ultimate Rewards points-earning credit cards like the Sapphire Reserve or the Ink Business Preferred. These points are not connected to a particular airline or hotel loyalty program but rather can be redeemed on any of the 13 Chase Ultimate Rewards transfer partners. 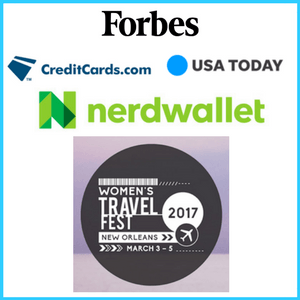 The number of travel reward possibilities as a result of these partnerships make Ultimate Rewards (UR) points especially valuable. 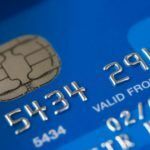 In Part 1 of this series, I discussed the fundamentals of Chase Ultimate Rewards points, as well as how to use your Ultimate Rewards account effectively. Part 2 will give an overview of each of the Chase Ultimate Rewards’ airline and hotel transfer partners to help you know where your UR points might be best used. As overwhelming as it might seem, start with a few transfer partners and learn little by little how they can help you reach your travel goals. 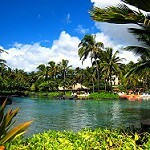 Generally speaking, transferring Ultimate Rewards points to a travel partner returns the best value for your UR points. However, not all transfer partners are equally as valuable so it’s important to understand the differences. In the miles and points community, there’s always discussion about redeeming miles and points for the highest per point value. Obviously, this makes sense. You want to squeeze every last drop of value from your UR points. Just also keep in mind that value is relative. If your UR points help you take a trip you otherwise couldn’t afford to take, the per point mathematical calculations become less important. 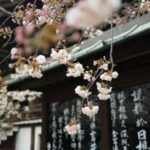 Personally, I always try to get the best return on UR points, but I also don’t have the disposable income to travel as often as I’d like so it’s a balance of these 2 factors that I consider when planning my award travel. Lastly, never transfer Ultimate Rewards points (or any flexible currency points!) to an airline or hotel until you’re sure the award space you want is available. Points transfers are irreversible. Your Chase Ultimate Rewards points will transfer 1:1 to all of these airline partners. So, 5k UR equals 5k miles or points in the airline partner to which you transfer your UR points. Let’s look at each airline partner individually. Before continuing, make sure you understand about airline alliance basics and how miles and points from one airline can be earned and redeemed on another airline. If not, stop and read Why you should Know About Airline Alliances. United is most certainly one of the most popular Ultimate Rewards transfer partners. The airline is a member of the Star Alliance along with 26 other airlines including Swiss Air, Lufthansa, Thai Airways, and ANA. The United website does a pretty good job of showing alliance partner award availability and allows you to book most award travel online. To be clear, you can transfer your UR points to United and book an award flight on United’s website operated by a Star Alliance partner, like Thai Airways. Even better, United doesn’t pass on surcharges, even when you fly on a Star Alliance partner. United also allows open jaws and a free stopover or segment on award tickets when you take advantage of their Excursionist Perk. 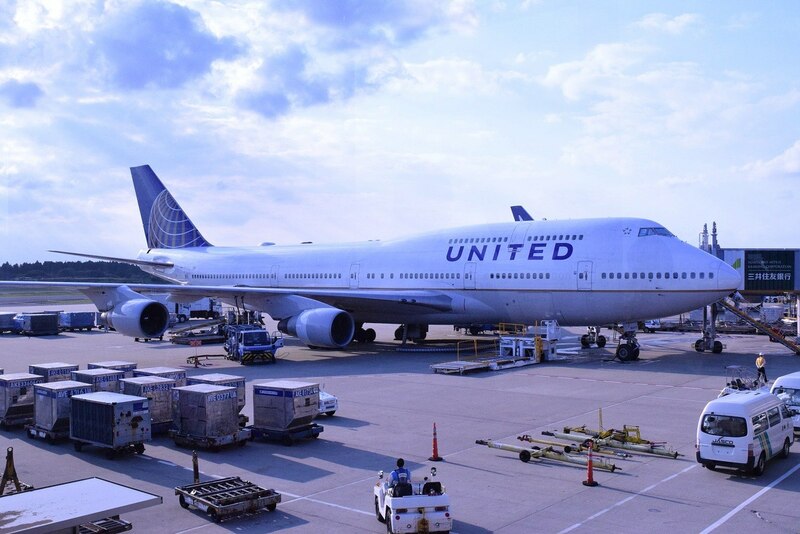 This perk is undoubtedly one of the best ways to redeem your United miles. 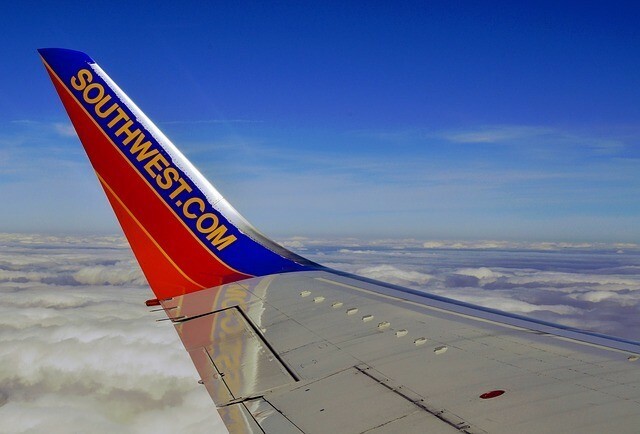 For domestic travelers, Southwest offers terrific value because of their cheap fares within the U.S. and to destinations in the Caribbean and Central America. Southwest award flight prices are determined by the actual cash fare of the ticket. So, it’s best to book a Southwest award flight when they run a sale. You can also cancel an award flight with no penalty, making it an easy, no-brainer move to rebook if and when you see a cheaper redemption. But, should you transfer UR points to Southwest? Based strictly on the math, UR points transferred to Southwest do lose a bit of value. However, Southwest redemptions can be super cheap and even cheaper if you have the Southwest Companion Pass. 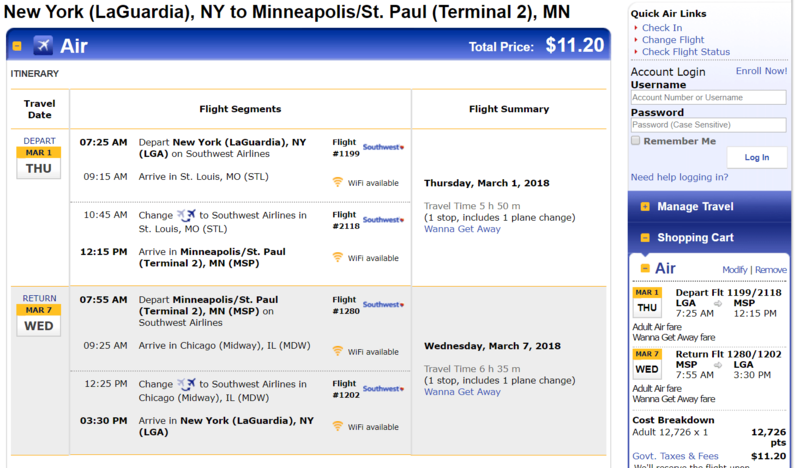 Compare this Southwest award flight from New York-Laguardia to Minneapolis. The total roundtrip price is 12,726 Southwest points and $11.20. United would charge 25k United miles roundtrip for the same flight. You can do the math but that’s 12k fewer UR points to transfer. A member of the Star Alliance along with United, transfers to Singapore Airlines can return a ton of value, even beyond the coveted First-class suites. Singapore allows a free stopover on round-trip saver flights and has some redemptions which are cheaper than what United would cost. For example, continental U.S. flights to Europe are 27.5k Singapore miles each way versus United’s 30k each way. Singapore has also recently partnered with Alaska Air, which lets you reach a difficult airline to access with flexible miles and points like Chase UR. Yet with all of the positives going for this UR transfer partner, watch out for surcharges on Singapore Air. If you’ve never flown with them, here’s a review of Singapore Airlines. JetBlue is the newest Chase Ultimate Rewards transfer partner. JetBlue prices its awards based on the airfare’s cash price. Similar to Southwest, it’s best to book awards when JetBlue is having a sale. Even though JetBlue is a transfer partner with Amex Membership Rewards and Citi ThankYou Points, Chase is the only transfer partnership to allow for 1:1 transfers and no fees to transfer UR points to JetBlue. But, is it actually a good value to transfer UR points to JetBlue??? Based on the math, no. Chase UR points are worth more per point than JetBlue’s TrueBlue points. So, when you transfer your UR points to JetBlue, you’re actually losing value. The better play is to book JetBlue flights through the Chase travel portal. When you pay with points in the portal, you’ll still earn points with JetBlue when you fly. Chase Sapphire Reserve cardholders, in particular, will get a 1.5 cent value per point and earn TrueBlue points. 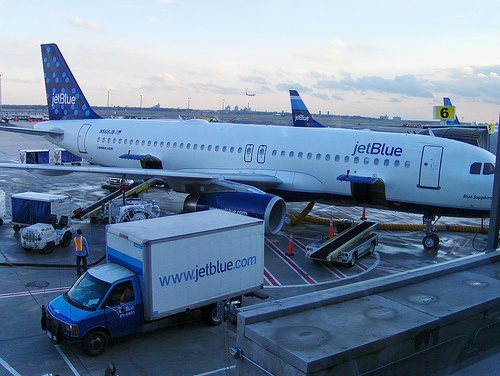 In particular, remember JetBlue flies to places like Alaska, Costa Rica, Ecuador, and the Caribbean. during a JetBlue sale, award flights to these destinations can be notably cheaper than booking with a legacy carrier like United, American, or Delta. 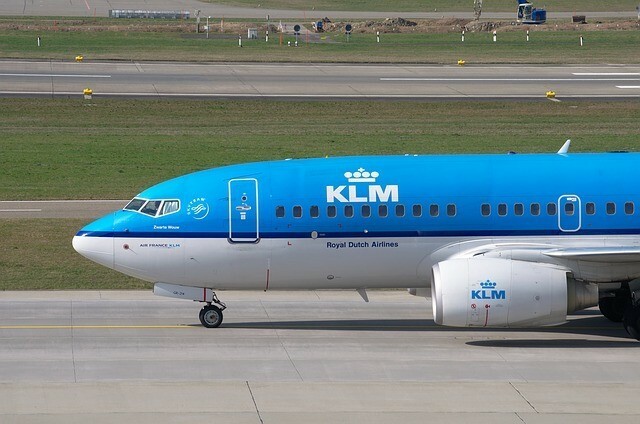 Flying Blue is the loyalty program of both KLM and Air France. In 2018, KLM moved from a fixed price award chart redemption system to dynamic awards. The prices of awards now vary depending on your origin, destination, the cash price, and the demand for that flight. There’s a new pricing calculator which shows the lowest mileage price for your award, but it’s not much use since you’ll need to search for your specific dates to determine the actual price. In addition, Flying Blue releases monthly Promo Awards which offer discounted award seats on select routes, typically between 25%-50%. With dynamic pricing, Flying Blue award prices will fluctuate, but this UR partner has sweet spots to Israel and Hawaii that are particularly noteworthy. It’s also worth looking at Flying Blue for Caribbean awards, where you can fly on Delta operated routes for fewer miles than what Delta would charge. 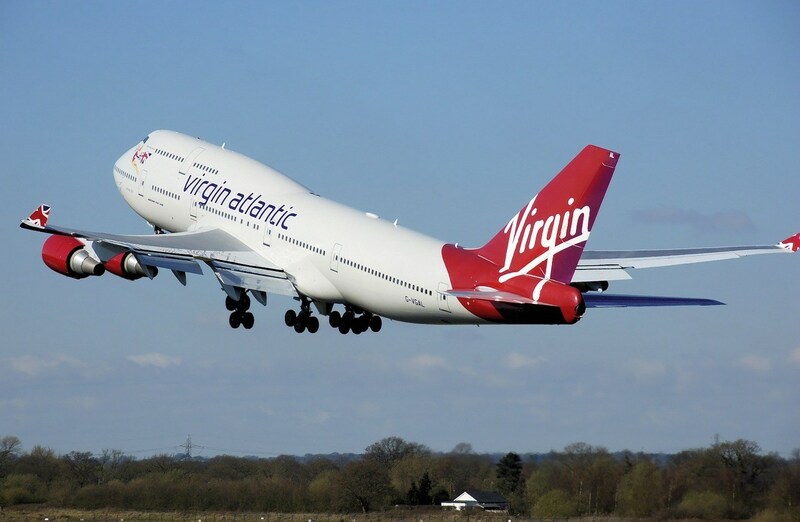 This transfer partner doesn’t get the love it deserves because of the hefty fees Virgin Atlantic imposes on its own award flights. There are transatlantic flights to London that could make sense one-way (10k Virgin Atlantic miles to London!) and partner redemptions on ANA and Delta, in particular, that stand out. However, when I need Virgin Atlantic miles, I try to save my UR points and transfer what I need from Amex Membership Rewards or Citi ThankYou Points. Why? Amex and Citi have relatively frequent transfer bonuses on points transferred to Virgin Atlantic. 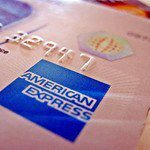 If you have UR points, Amex MR points, and/or Citi ThankYou points, try to plan in advance so you can take advantage of an Amex or Citi transfer bonus and save your UR points for another redemption. 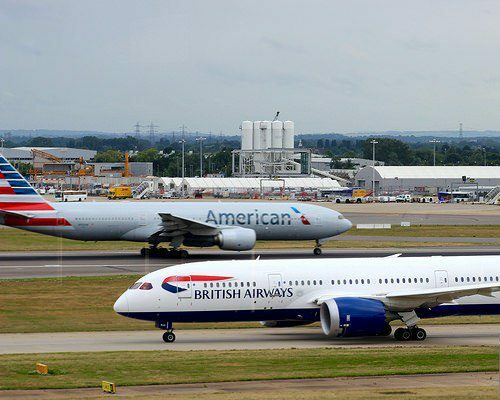 British Airways is a member of the Oneworld Alliance along with American Airlines. They are a distance-based award program, which means award flights are priced based on the number of miles flown. This works out well with nonstop short-haul inter-continent and inter-country flights in many places. For example, it’s possible to redeem an award flight with British Airways between Los Angeles and Vancouver for 15k Avios round-trip but fly on an American Airlines plane since they’re the partner operating this direct route. British Airways beginners are often surprised to learn that American Airlines would charge 25k miles for the same route! For those of you looking for inter-Europe, inter-Australia, or even inter-Japan flights, British Airways can be a great option. The downside is British Airways’ website can be super glitchy and sometimes not show AA or other Oneworld award space that shows elsewhere. Redo your search over and over trying different dates and routes and then return to your original search. You just might get that award space to show. You can also use the Qantas website to crosscheck Oneworld award availability. These are among the newest Chase Ultimate Rewards transfer partners. Both use the same Avios currency as British Airways, yet they each have their own rules, award charts, and off-peak dates. 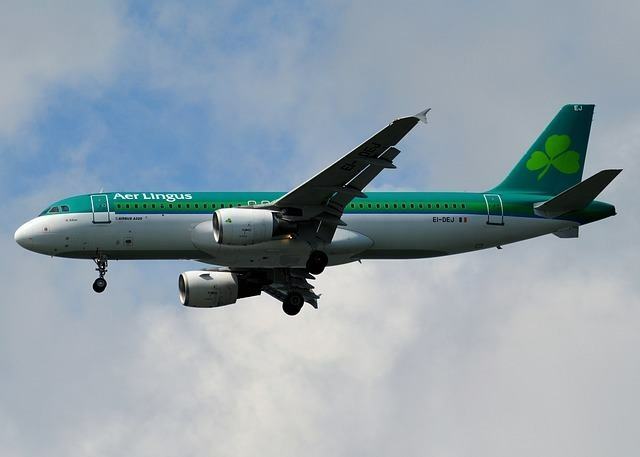 Aer Lingus is distance-based but has a sweet spot redemption from cities like New York, Boston, and Chicago to Ireland for as low as 13k Avios one-way off-peak. Iberia flies from New York to Madrid for as low as 17k Avios each way off-peak and often charges less in taxes and fees than British Airways. Iberia also differentiates itself from British Airways in that the number of Avios needed is based on total trip mileage, even when your route includes a connection. In this instance, British Airways would charge per segment and most certainly be a more expensive award. Where Iberia really shines, though, is with domestic flights operated by American Airlines. Both airlines are in the Oneworld alliance which means Iberia Avios can be used to book AA award flights for cheaper than AA would charge. Whenever you’re looking to book flights within the U.S on American Airlines, it’s worth it to price the award on Iberia, too. Similar to the airline transfer partners above, your Chase Ultimate Rewards points will transfer 1:1 to all of these hotel partners. Hyatt represents the best value among all of Chase’s hotel transfer partners. Award nights range from 5k-30k points and the math on per point redemption value can easily go up and over 2 cents per point. Hyatt cash and points bookings can also be a fantastic value. The one downside is that Hyatt doesn’t have as many hotels worldwide compared to brands like Hilton or Marriott. Expert Tip: Looking to book an all-inclusive stay with points? Check out Hyatt’s Zilara and Ziva properties in Mexico and Jamaica for a great value. 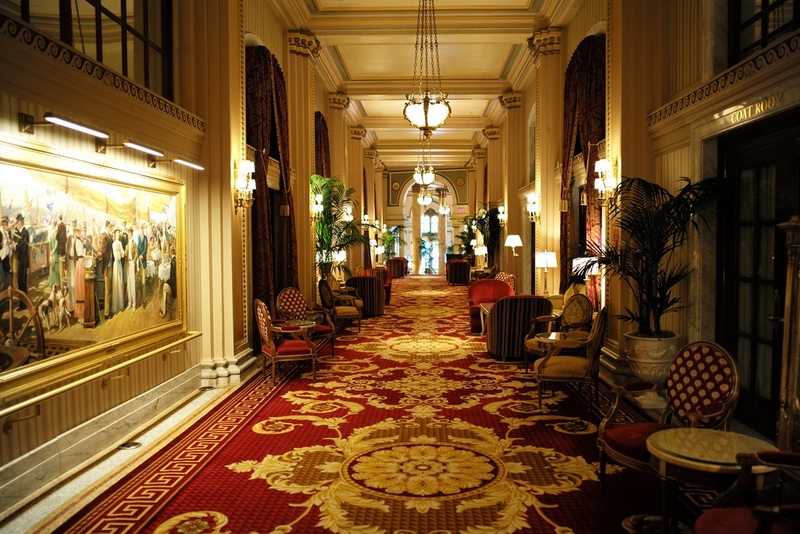 IHG hotels include brands like InterContinental, Holiday Inn Express, and Crown Plaza. IHG points are valued at about 0.7 per point, well below the 2.1 cents per point of UR points, making transfers to this partner a losing proposition. IHG points can be earned in a variety of ways and the new IHG co-branded credit card, albeit with an increased annual fee, still comes with an anniversary night each year at a hotel up to 40k points a night. Consider that even using the cash & points trick to book IHG’s Point Break hotels (starting at 5k points per night) costs just $35 for each set of 5k IHG points you’d need to purchase if you were low on IHG points. Grouped together because both loyalty programs are part of the Marriott brand. Marriott also purchased SPG and has combined all of these properties under one loyalty program umbrella. As with IHG, transferring UR points for award nights at Marriott or Ritz-Carlton hotels is not a great value. 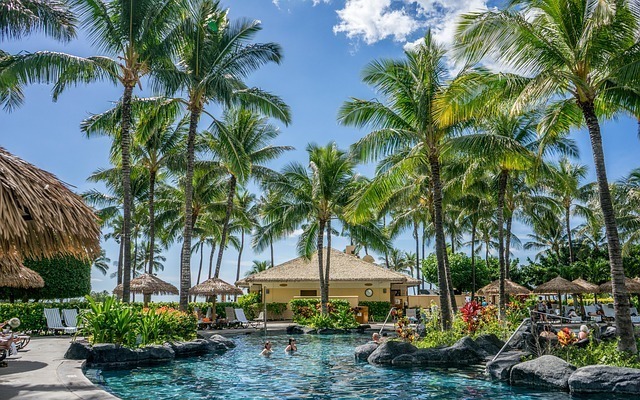 Marriott flight and hotel packages and point saver deals do stand out for their value within the Marriott program, but even these suffered from the loyalty program changes that came with the SPG acquisition. If I had to choose between transferring UR points or getting Chase’s co-branded Marriott credit cards for their sign-up bonuses and their ability to earn Marriott points easily, I’d opt for a Marriott card and save my UR points for a better redemption. 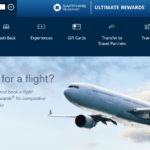 What about that Chase Ultimate Rewards Travel Portal? Even with all of these fantastic transfer partners, there are times when it might make sense to use Chase’s travel portal to book flights and hotels. Keep in mind, Chase recently switched the operation if its portal from Connexions to Expedia. Many Ultimate Rewards customers haven’t been all that thrilled with the changes. The most significant change is not having the ability to book low-cost carriers like Southwest, Frontier, and Allegiant through the portal. For Chase travel portal bookings, here are some factors to consider. For flights, the portal searches in the same way you’d search on Expedia. You’re not limited to flights with just the transfer partners. This means flight search results will include many flights on a variety of airlines. If you have no flexibility or just want to find the cheapest possible economy price (not including the low-cost carriers mentioned above), booking through the portal may be a better option, both in terms of schedule and the number of UR points needed to book. However, if you want a premium seat, it’ll nearly always be a better value to transfer your UR points to a transfer partner rather than book business or first class flights in the portal. You’ll likely earn miles for flights booked in the portal with UR points because they appear as cash bookings to the airline. 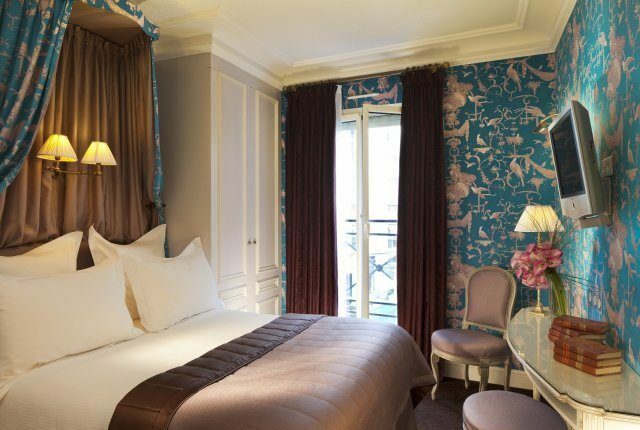 Photo Credit: Hotel de Buci – This is my room in the heart of Paris’ 6th arr! Pretty, right? Less than 10k UR points a night booked through the Chase Ultimate Rewards travel portal. 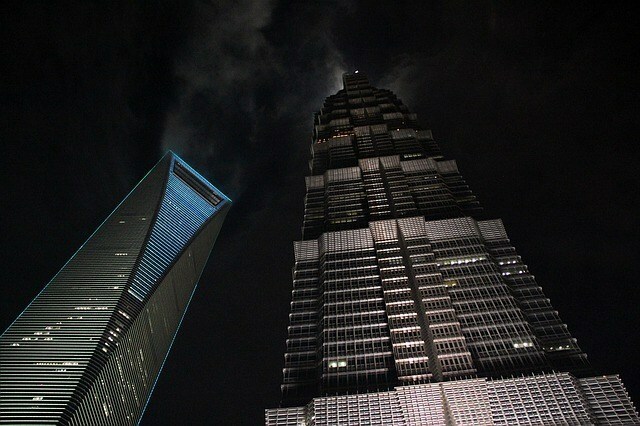 This hotel can be upwards of $500 a night! Don’t book too close to your check-in date or during a peak holiday time when cash prices are higher and therefore UR portal redemption rates are higher. Do compare loyalty program hotel redemption rates with the number of UR points needed for the same hotel in the portal. Remember, booking a loyalty program hotel like a Hilton or a Marriott through the Chase portal usually means not earning loyalty program points for the stay and forgoing any status-related perks. 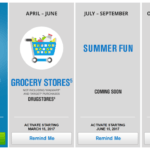 Chase’s Ultimate Rewards transfer partners are what make your UR points so incredibly valuable! When transferred effectively, your UR points can have you sitting in airplane seats you previously thought were too expensive and on your way to bucket list destinations! Which Chase Ultimate Rewards transfer partner has given you the most value?